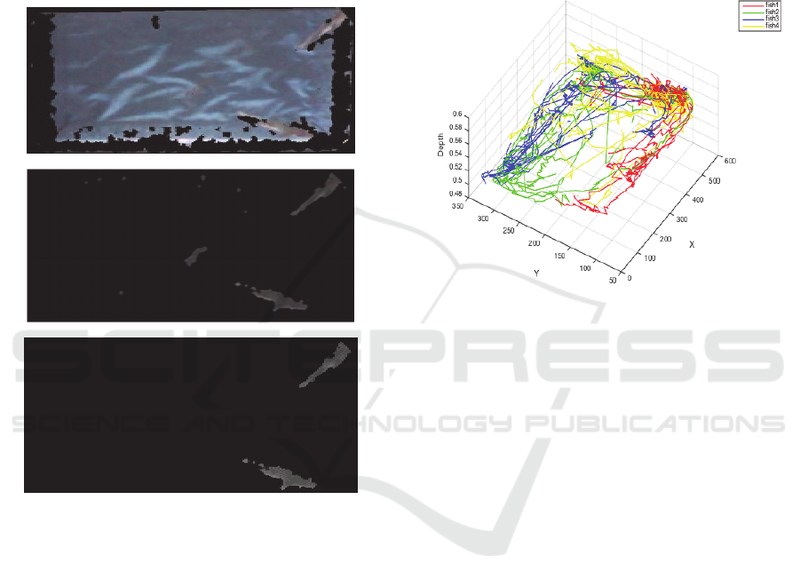 Keywords: Fish Tracking, 3D Single Point Imaging, Kinect, Trajectory. 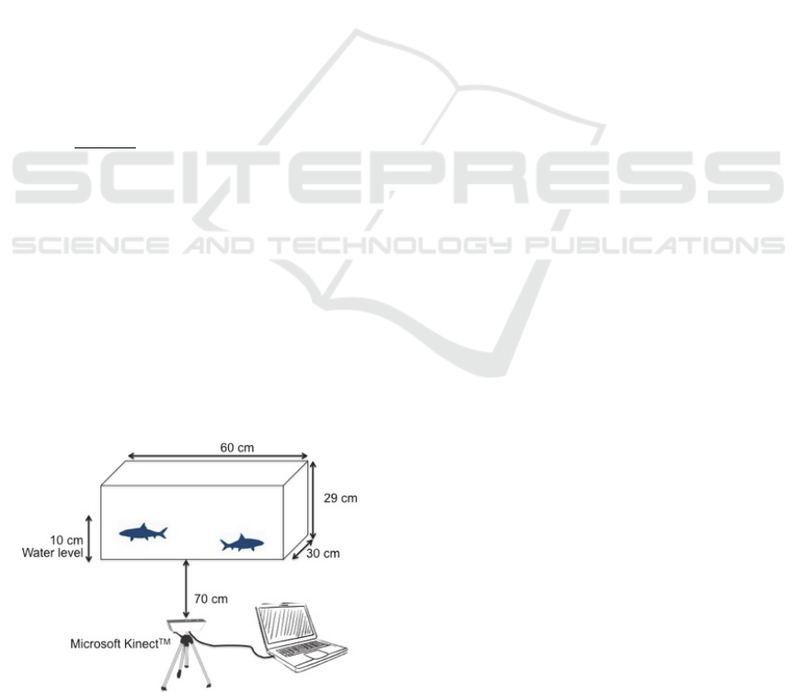 feasibility of new sensors to monitor fish behaviours in 3D space. 2005; Xiao et al., 2015). arenas to understand the fish novelty behaviours. Saberioon, M., Cisar, P. and Urban, J. 3D Single Point Imaging Technology for Tracking Multiple Fish. multiple fish in a single tank. fly using two video cameras automatically. pattern which depth information can be obtained. even the siblings in real-time 3D space. selected for demonstrative purpose in this study. 8 cm SL and 2.6, 2.5, 2.5, 2.4 cm BH respectively. background (Xu et al., 2006). data were also recorded in 11-bit format resolution. process was performed to remove unwanted pixels. processed using Matlab Image processing toolbox. segmented image and (c) segmented image after correction. trajectory of four fish in 3D space using both sensors. for previous systems (Delcourt et al., 2006). a 10-minute video using in 3D. research may need to answer this question. LO1205 under the NPU I program). Atoum, Y., Srivastava, S., and Xiaoming Liu. (2015). fish trajectories using clustered and labeled data (pp. Conference on Image Processing (ICIP), IEEE. Chen, Z., Wong, K.-Y. K., Liu, M., and Schnieders, D.
Delcourt, J., Denoël, M., Ylieff, M., and Poncin, P. (2012). future perspectives. Fish and Fisheries, 14(2), 186–204. Delcourt, J., Beco, C., Ylieff, M. Y., and Caps, H. (2006). Perona, P., Straw, A.D., Wikelski, M., Brose, U.
Workshop, 2004. CVPRW &apos;04., IEEE. from short duration pop-up archival satellite tags. Kanbara, M., Ukita, N., Kidode, M., and Yokoya, N.
Images in a Spherical Mirror (Vol. 4, pp. 874–879). Kane, A. S., Salierno, J. D., Gipson, G. T., Molteno, T. C.
responses of fish. Water Research, 38(18), 3993–4001. system for quantification of zebrafish behaviour. Journal of Neuroscience Methods, 134(1), 1–7. 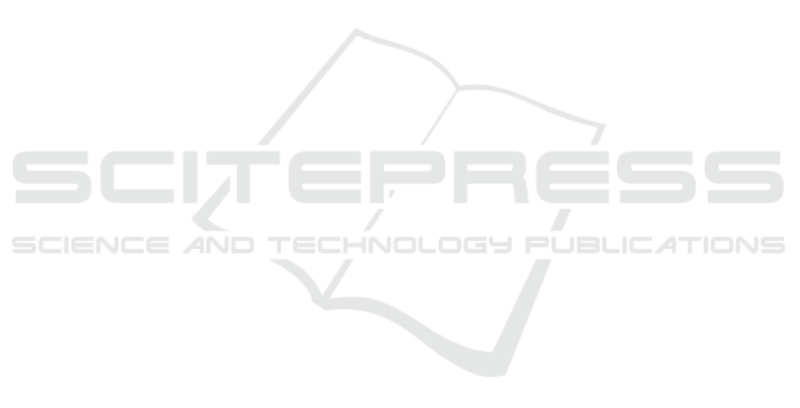 Computer Science and its Applications (Vol. 279, pp. as an indicator of sublethal toxicity in fish. Environmental Toxicology and Chemistry, 9(1), 13–19. melatonin in gilthead sea bream (Sparus auratus). Molecular and Integrative Physiology, 149(1), 92–97. Biology, India, 26(2 Suppl), 393–397. Interactions in Rats. PLoS ONE, 8(10), e78460. Mirat, O., Sternberg, J. R., Severi, K. E., & Wyart, C.
throughput behavioral analysis and categorization. Frontiers in Neural Circuits, 7, 1–12. Oppedal, F., Dempster, T., and Stien, L. H. (2011). sea-cages: A review. Aquaculture, 311(1-4), 1–18. behaviour. Aquacultural Engineering, 46, 53–59. Pawar, S., Dell, A. I., and Savage, V. M. (2012). unmarked animals. Nature Methods, 11(7), 743–748. Pinkiewicz, T. H., Purser, G. J., and Williams, R. N. (2011). salmon. Aquacultural Engineering, 45(1), 20–27. Salierno, J. D., Gipson, G. T., and Kane, A. S. (2007). the-tech/. Retrieved 11 April 2015. Human Odor and Heat. PLoS ONE, 8(5), e62995. Stewart, A. M., Gaikwad, S., Kyzar, E., and Kalueff, A. V.
net cage. Aquatic Living Resources, 24(2), 107–112. Speed and Signal Processing, IEEE. Viscido, S. V., Parrish, J. K., and Grünbaum, D. (2004). schools: a comparison of observation and theory. Marine Ecology Progress Series, 273, 239–249. Wu, H. S., Zhao, Q., Zou, D., and Chen, Y. Q. (2011). of moving particles. Optics Express, 19(8), 7646–7663. abnormal tail-beat frequency of crucian carp.